Which Winston Salem Outdoor Room is Right for You? Custom building Which outdoor room is right for you? Sunroom? Eze-Breeze 3-Season Room? Screened Porch? Open Porch? Let Us Help You Decide. Home improvement projects take a lot of consideration. Thinking about how you live, what activities you enjoy and how you will use the potential new space is a great starting point. How do you want to live in your new outdoor living space? Do you want to eat outside? If so, will that be for just your family or will you use your new space to do a bit more entertaining? Do you want a comfortable place to relax? If you’re looking for your new favorite room in the house, will that be a quiet space with cozy seating or plenty of seating to share the space with family and friends? Are you looking for a private getaway? If so, will it be for reading? Watching the fire? Watching television or Friday movie night? A great start to determining which outdoor living room is right for you is to really think about how you want to spend time in your new room and with how many people. Homeowners who are looking to add an outdoor room aren’t always certain of what type of outdoor room to add. 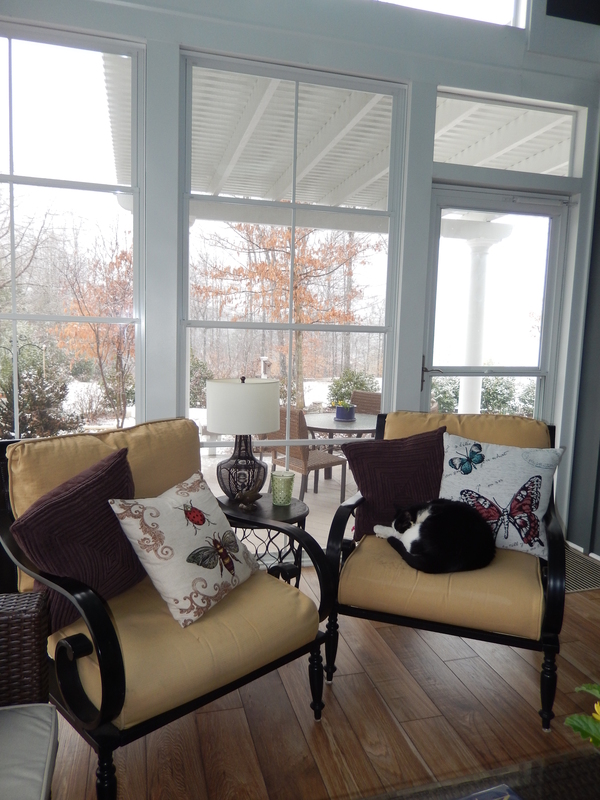 Are you looking for a sunroom with glass windows and full heating and air? 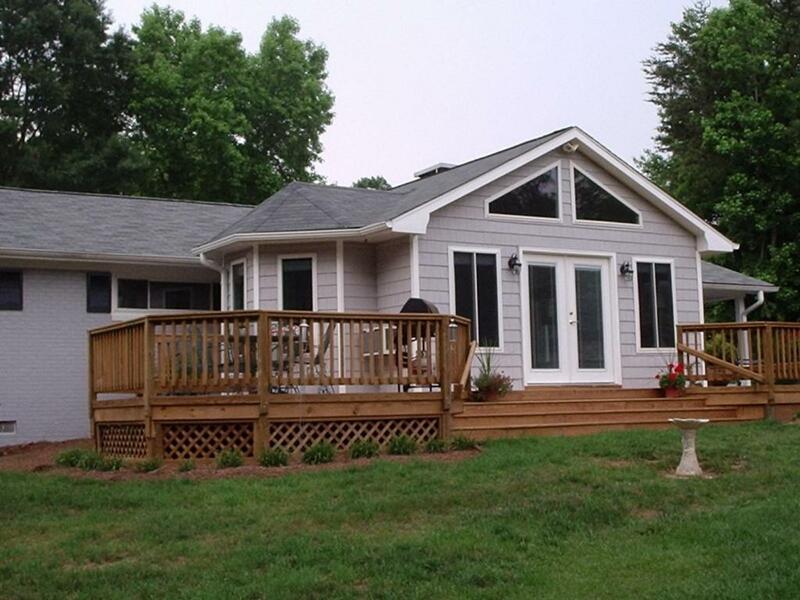 Are you looking for an unscreened open porch with unobstructed access to fresh air? Perhaps you are looking for the very popular 3-season room with Eze-Breeze windows. Read below to help decide which room is right for you. 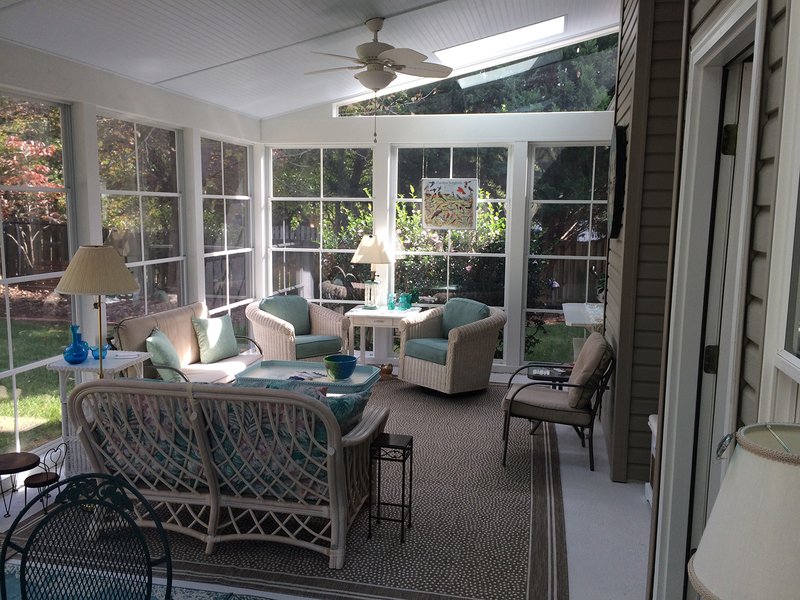 Winston Salem sunrooms are incredibly popular because they offer all of the comforts of home with the feeling of being outdoors. They can be a breakfast nook, a family room, the cat’s favorite place to watch birds, or even a place for your plants to bask in the sun. Sunrooms off the kitchen are the ideal place to keep an herb garden going year-round. Modern sunrooms are available with insulation and venting systems that make them comfortable and energy efficient. 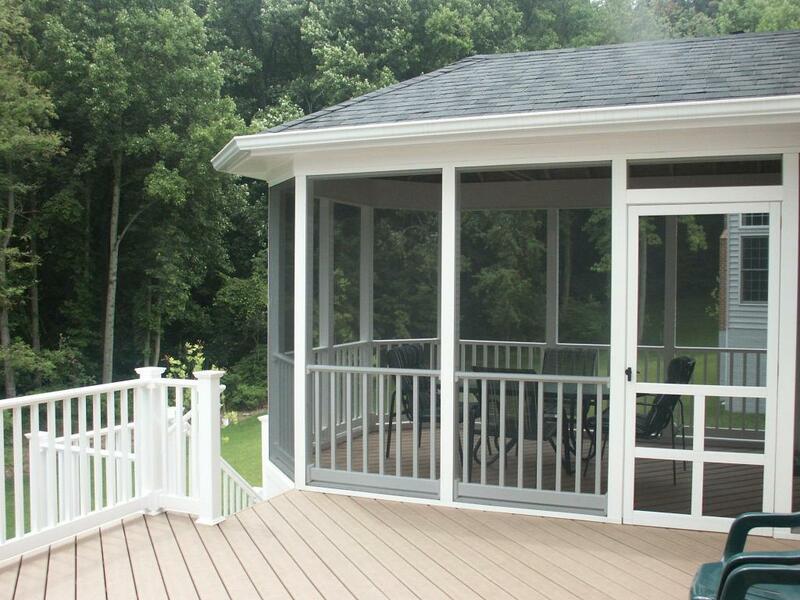 Taking one step back, Archadeck can create a Greensboro 3-season porch for your home. They have a combination of screens and Eze-Breeze windows that allow you to enjoy your new space on all but the bitterest of winter days. When the air is dry and comfortable, drop the windows. When you want a little shelter from rain or wind, put them back up. Eze-Breeze is one of the most versatile products we offer. If you’ve never seen it in action, please ask. 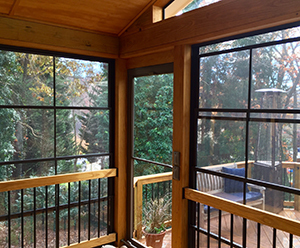 If you like the idea of a Winston Salem screened porch, we have some great news for you. The quality and durability of the screens that have come on the market in the last several years is truly impressive. They stand up to an awful lot of abuse from children and pets and are easy to care for. In the event that something does go awry, many of the screens we work with are modular and very simple to replace. If all you want is a little shade from the sun and protection from the rain, an open air porch, also known as a covered porch, could be the right choice for you. It is the most inexpensive of these options and allows you to do your barbecuing outside without purchasing a ventilation hood. Even on stormy days you might find yourself sitting outside enjoying your yard. Of course, some of our customers combine two or more of these structures together or even pair them with a patio. They can all be used in different configurations with custom amenities to be a pool house, pavilion, gazebo, or even a conservatory. Take a look at some of our photos on Pinterest to inspire you and then give us a call for a free consultation to discuss your project. You’ll be so happy you did. 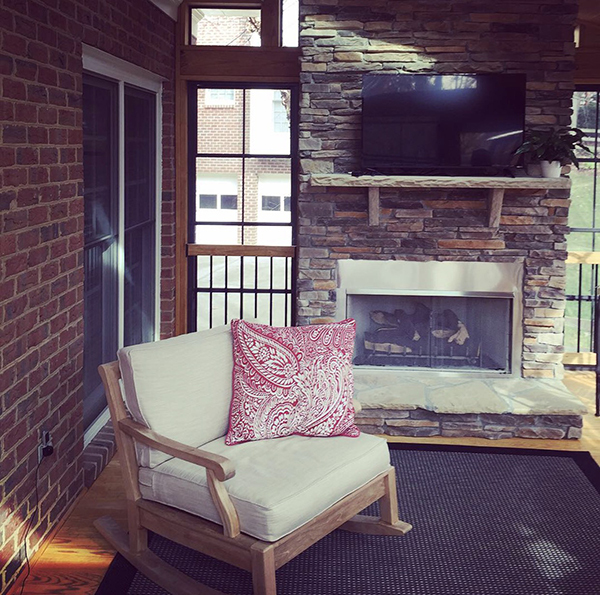 With the moderate climates here in the Piedmont Triad, some small additions can transition your screened porch into a room that can be used nearly the entire year. One of the most popular ways to turn your screened porch into a 3-season room is to add the Eze-Breeze 4-track vinyl window system. With this window system, the screened areas of your porch are replaced with sliding windows. The window material is super strong, super sturdy and super clear vinyl. The windows are on a tack system allowing you to open the screened area to expose 25%, 50% or even 75% of the screened area. In the video above, former owner John Mallard provides a demonstration of how the window system works. While one great benefit of a 3-season room is the ability to add some temperature protection, a 3-season room can also provide protection from pollen and other allergens. You know that time of year when you go outside to be greeted by a thin layer of yellow pollen across everything? If you keep your Eze-Breeze windows closed during pollen period, you’ll not only keep them off your porch but you won’t have to clean yellow dust from every surface of your 3-season room.